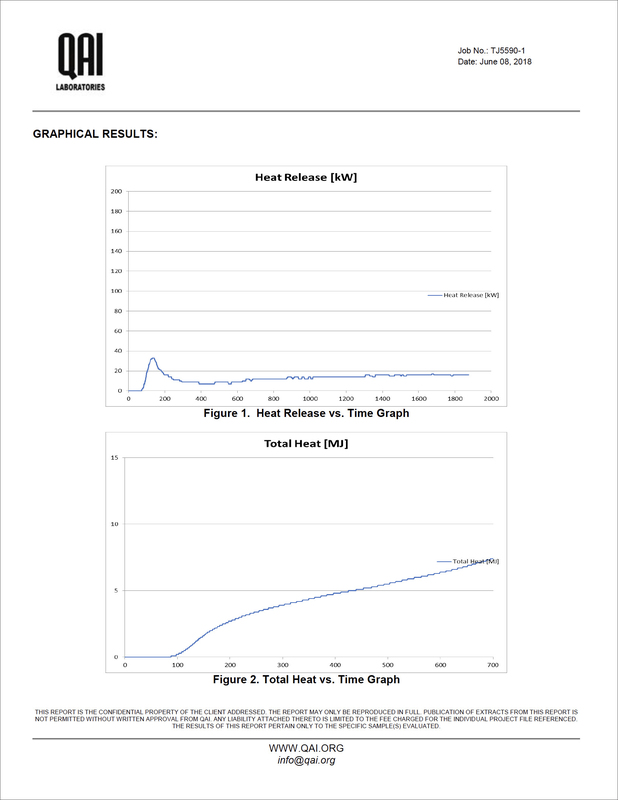 Can you show me your burn test lab results for fire safety? 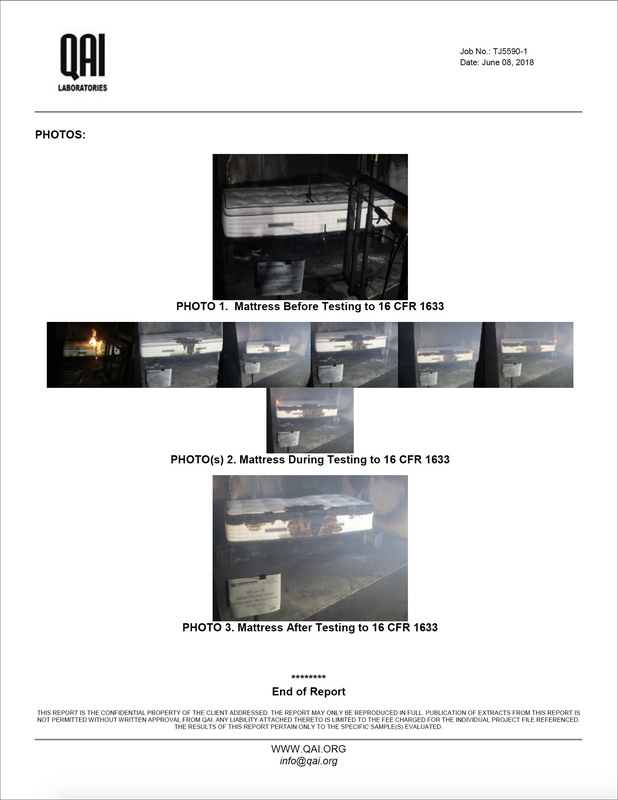 Our mattresses are lab tested annually and easily comply with criteria for large open flame / burn resistance. 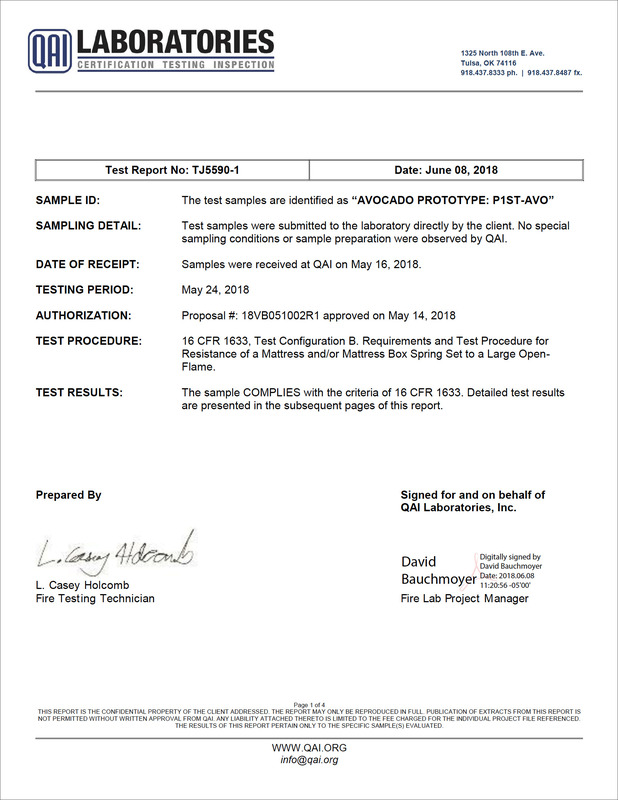 Avocado Green Mattresses easily comply with 16 CFR 1633 — the annual, third-party lab testing and certification for Resistance of a Mattress to a Large Open Flame — without the use of chemical flame retardants (which have known toxicity concerns and contribute to VOCs). 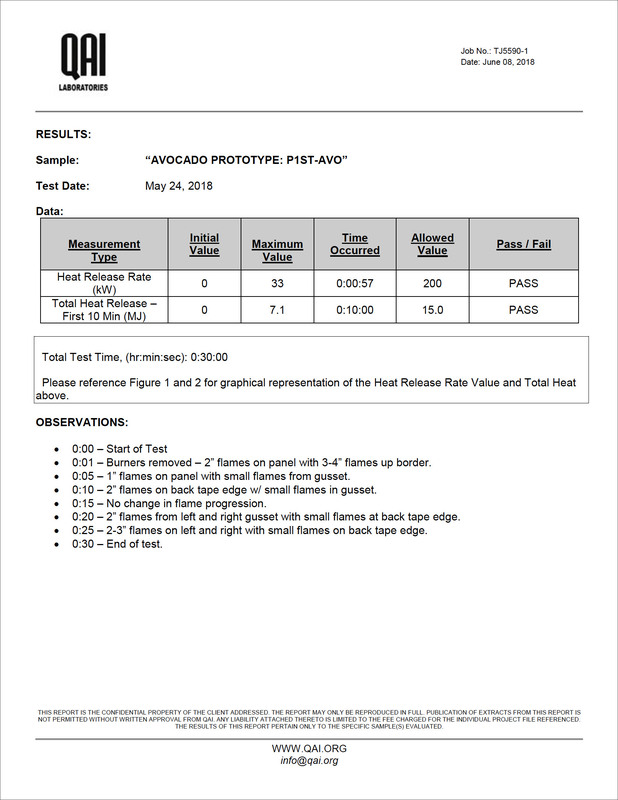 In the interest of "radical transparency," we are proud to post our test results and certification here.